Manchester United manager José Mourinho joined Hublot CEO Ricardo Guadalupe in London last night as the watchmaker unveiled its latest limited edition: the Hublot Big Bang Unico Special One. It is the second time Mr Mourinho has put his name to a Hublot timepiece. He has been a brand ambassador since 2014. “Today, I’m honored to receive a second watch bearing my name from Hublot, and I’m particularly happy about this one. Since we started working together, I’ve been extremely impressed by the work ethic, technical knowledge and inventiveness of the brand’s watchmakers and engineers. Values that are very useful on the football pitch. And above all, we share the same passion, the same madness: football,” Mr Mourinho said. Mr Guadalupe, who has been working with the maverick manager for five years, says he is the perfect person to represent Hublot. “If I hadn’t already known his nickname, I’d definitely have given him the same one after meeting him: José really is a one-off, unique in his nature and his expectations. Qualities that we share. Mourinho and Hublot, The Special Two,” he joked. 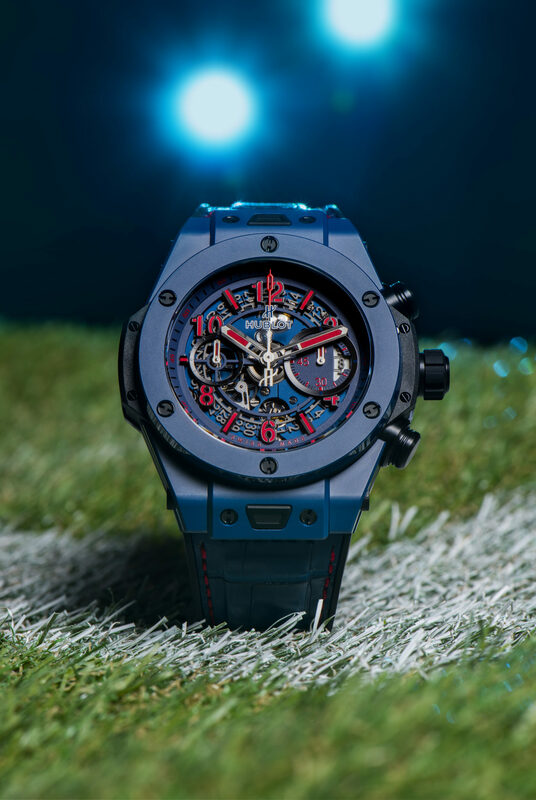 The Hublot Big Bang Unico Special One, produced in a limited run of 200 pieces, is a mainly blue watch with red accents. Its microblasted and polished ceramic blue 45mm case and bezel house the HUB1242 UNICO manufacture self-winding chronograph flyback movement that is visible through the front and back.